Last week I was setting the table in preparation for my book club dinner. A spring dining table called for my mother’s silver flatware. She knew how much I loved handling the silver knives and forks as a child so passed them on to me. I haven’t used them in a while so was struck again by the cartoon message she had tucked away in the corner of the box. It reminded me of a blog post I wrote five years ago, Use the Good Dishes. 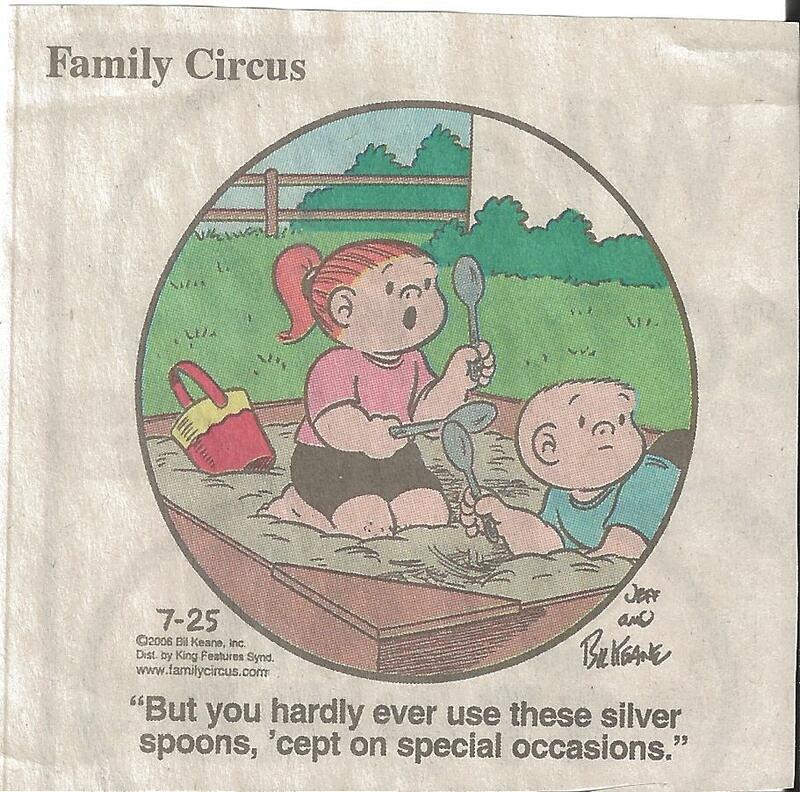 Now, because of a yellowed cartoon I’m adding, use the good flatware too. Every day is a special day. Thanks for the reminder, Mum. This entry was posted in Commentary and tagged cutlery, etiquette, etiquette expert, Protocol School of Ottawa, silver flatware, Suzanne Nourse, use the good dishes. Bookmark the permalink. So true, Suzanne. Using the good stuff makes everyone feel special. I so agree Karen. And everyone deserves to feel special – not just when we have guests. Hi Suzanne, hope you are doing well. I enjoy reading your blog posts. Thanks Jacqueline. Setting a pretty table just for one makes everything taste better too! Why wait for guests?